AAA reported last month that nearly a third of all 2018 model year vehicles came standard with autobraking, one of the more effective technologies in terms of crash prevention. A new study found autobraking (“Automatic Emergency Braking” under AAA’s proposed standardized terminology) came standard on 30.6 percent of all 2018 models — up from what Consumer Union said was 19 percent in the 2017 model year. OEMs also included lane-keeping standard on 13.9 percent of vehicles and adaptive cruise control on 11.8 percent of the 2018 model year. 92.7 percent of new vehicle models on sale as of May 2018 had at least one of these or another advanced driver assistance system available, AAA said. 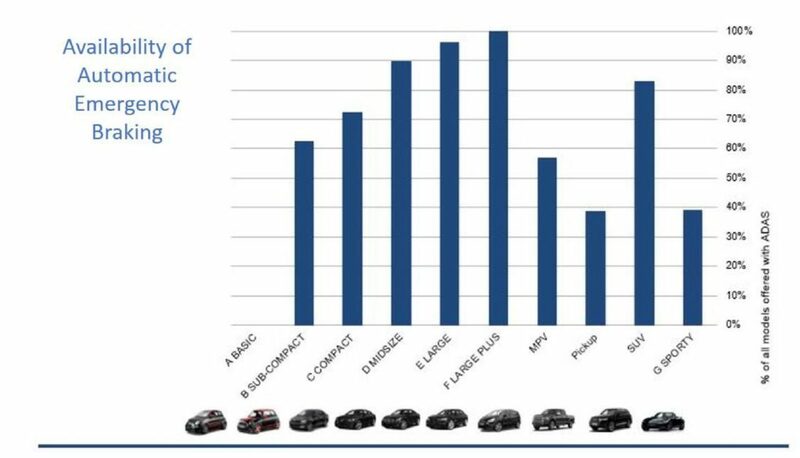 The mix of vehicles in your market might dictate which ones you’re likely to see, based on an AAA analysis of features offered by segment. The spread of the technology is significant for collision repairers for two reasons. First, the feature and associated elements on the vehicle (for example, a windshield with an ADAS camera behind it) needs to be properly restored and recalibrated following the crashes which do exist. This bestows an additional level of repair complexity and responsibility upon the shop. 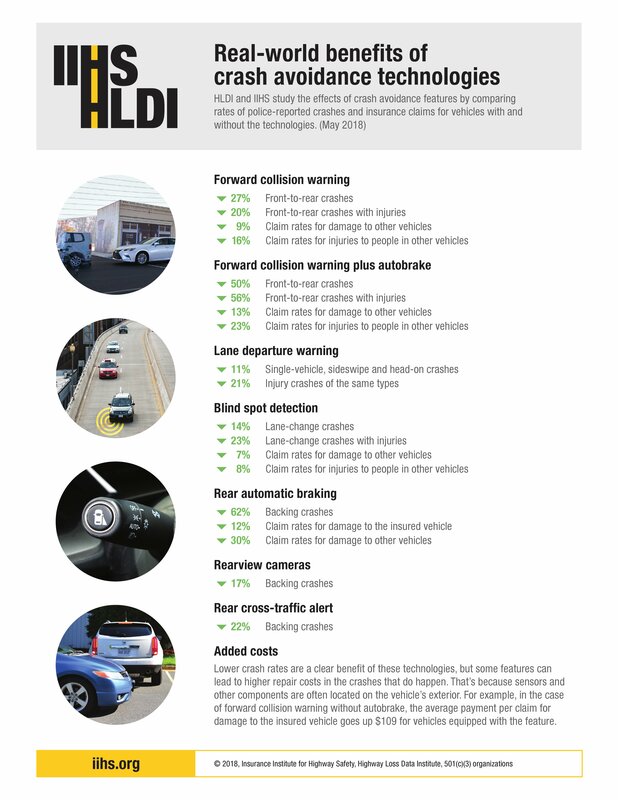 Second, the Insurance Institute for Highway Safety has found at least two of these technologies to reduce crash frequency. Autobraking cuts rear-ending 50 percent and third-party rear-ending claims 13 percent. Considering that rear-ending constitutes the most likely scenario to bring a vehicle to your shop — it represented a third of all 2015 crashes, according to an III report using federal data — this could have a significant effect upon your collision business model. Mere lane departure warnings to the driver — not necessarily lane-keeping (in which the car steers the vehicle to a better spot in the lane) — cut sideswipe, head-on, and one-vehicle crashes 11 percent, according to the IIHS. (For context, sideswipes made up 12.3 percent of all crashes in 2015.) However, the IIHS in August 2018 found flaws in the more advanced lane-keeping tech. The IIHS also in August detected flaws with adaptive cruise control systems on the market. However, it noted the existence of an external study which “found that drivers using ACC have longer, safer following distances than drivers who don’t use ACC” and said adaptive cruise control had more evidence in its favor then lane-keeping. This suggests it too will cut into a repairer’s volume. Paradoxically, the new technology might also reduce severity as well as frequency by mitigating the significance of the crashes which do occur — a double whammy for a shop. This has been detected by CCC and Honda, and it also appears to be reflected in May 2018 IIHS data. For example, while autobraking cut third-party property damage claims by 13 percent, it reduced claims injuries to folks in other vehicles 23 percent — suggesting the crashes were at a lower speed than they would have been otherwise. Lane departure warning cut 11 percent of relevant crashes — but those kind of crashes which also had injuries by 21 percent. However, 2016 research by IHS Automotive found that consumers globally wanted ADAS more than other features, but they’re not necessarily willing to pay much for it. If OEMs don’t make the tech standard (which they have pledged to do with autobraking by 2022), various ADAS systems might not spread to the 92.7 percent of vehicles they theoretically could. “While ADAS systems are most desirable among global survey respondents, consumers do not want to pay for these advancements,” IHS Markit wrote in a July 2016 news release. 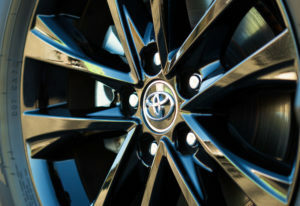 “Traditionally packaged within vehicles as part of optional features like leather seats and high-end infotainment systems, consumers expect advanced safety systems to be included in new vehicles at no charge – since electronic stability control systems and pre-charged brakes have become standard equipment on a global scale. On the other hand, proven results could prompt NHTSA to require the tech be standard, just like electronic stability control (a form of ADAS) or like the agency would probably have done with autobraking if automakers hadn’t moved on their own.